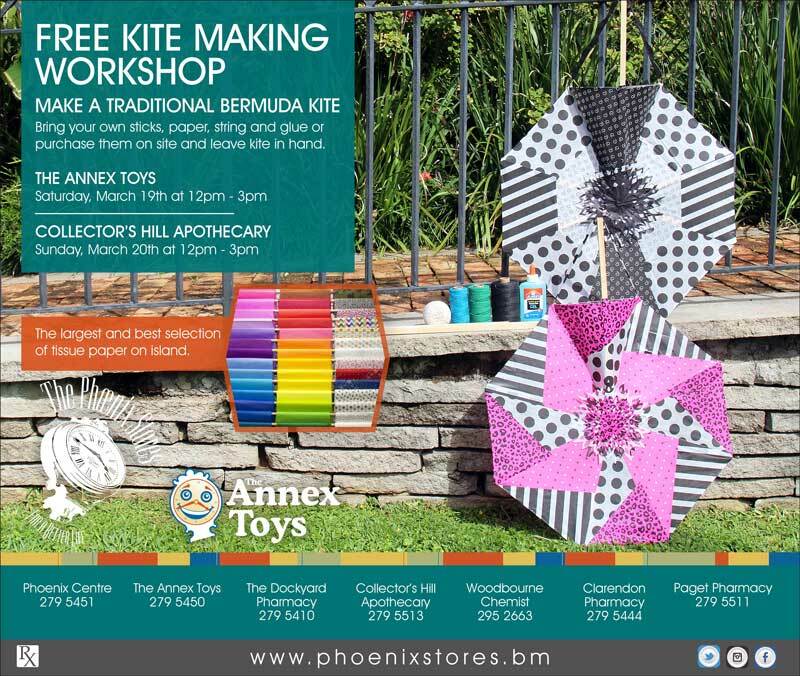 The Phoenix Stores Ltd. will host its annual kite making workshops at two locations this weekend – the Annex Toys and Collectors Hill Apothecary. With every aim to keep the tradition of Bermuda kite making alive, each year both The Annex Toys and Collectors Hill Apothecary transform their retail spaces and invite experts on-site to provide live demonstrations on the art and history of Bermuda kites. This year’s events are slated to take place Saturday, March 19, from 12pm through 3pm on the first floor of The Phoenix Centre in Hamilton; Sunday, March 20, 12pm – 3pm at Collectors Hill Apothecary in Smith’s Parish. Those looking to take advantage of the free kite making workshops and walk away kite in hand can choose to bring their own sticks, tissue paper, string and glue or purchase them on-site. All are welcome to attend, though space is limited. For more details regarding the free kite making workshops, contact The Annex Toys at 279-5450. I here they have taken over the Old Haywards store!